In 2004 Greg returned to full time study to complete his Masters in Psychology. In 2005 whilst completing his psychology internship (6 months in student counselling, 6 months at Life Hunters Craig), Greg founded his own coaching and consulting company Fortogen cc. In his role as an independent peak performance consultant he has coached numerous senior executives internationally (e.g., Microsoft: Israel, Dubai, Morocco, Turkey), nationally (e.g, Eskom, SARS, Transnet Freight Rail, Rohlig-Grindrod) and locally (e.g. Investec, Continental Tyre SA, Oakley Africa, Woolworths, Southern Sun, FML Holdings, Spec-Savers, Execuspecs, Ambiton Financial Services, Burmeister de Lange Attorneys, Atlas Security Systems, Medicus Footwear, Debt Reconstruction Services). 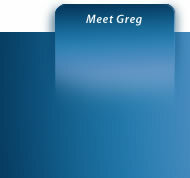 In his various roles, Greg has worked with both teams and individuals in developing optimal performance and leadership. Greg has delivered speeches at the Spec-Saver’s National Sales Conference, the Oakley Africa National Sales Conference as well as holding numerous workshops and informational talks locally (e.g. FNB Trust, Investec, Ambiton, Atlas, Creative Living Festival, Osteo-Arthritis EC).